The WWE Universe witnessed one of the most highly anticipated faction formations on Raw. Former WWE Universal Champion Finn Balor has formed a union with former Raw Tag Team titleholders Karl Anderson and Luke Gallows. For wrestling fans who have followed the trio’s careers in the last 6-7 years, it was a joyful site to see the three former members of the Bullet Club standing aside each other and throwing up a too sweet. Some fans speculate whether or not WWE would acknowledge these three were at one time in the Bullet Club. Anderson and Balor, when he was Prince Devitt, were two of the founding members when the group formed on May 3, 2013 and served as leaders of the faction. Gallows joined the group on Nov. 23 of that year. Broadcasters have run down Balor’s accolades in New Japan, as well as Anderson’s and Gallows’, but they have never given much air to mentioning Bullet Club, except for when talent did it themselves or social posted a reference to the NJPW stable, and in those instances they were usually edited out. However, WWE has in fact acknowledged the trio as former Bullet Club members in a video it released on its Youtube page. The video, “Who are The Bálor Club and how do they know each other?” shares some information about the trio’s days in New Japan Pro Wrestling and founding of the Bullet Club. 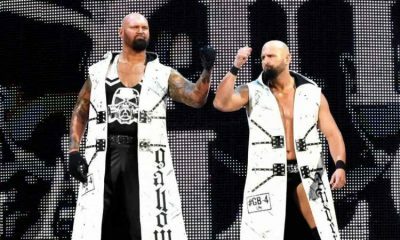 It also references how the three were on seperate paths when they came to WWE – Balor’s journey from NJPW to NXT and main roster while Gallows and Anderson formed “The Club” with A.J. Styles when they arrived. The video does not feature any audio narration, but displays still images with text and music. It’s not the usual style of WWE videos and it’s reminiscent of pieces produced from pro wrestling Youtube channels. The trio teamed up on the Jan. 1 episode of Raw to defeat Elias, Bo Dallas and Curtis Axel. 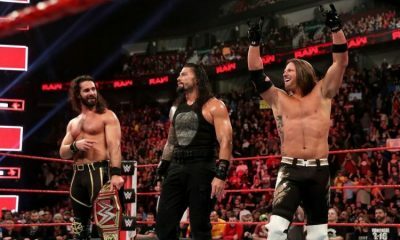 The next week, they formed the Balor Club and defeated Raw Tag Team Champions Seth Rollins and Jason Jordan, and Intercontinental Champion Roman Reigns in a 6 man tag team match. The win against Rollins, Jordan and Reigns was a good way to introduce the group as a new force on Raw. IT also gives Anderson and Gallows something to do, and associates them with a major talent on the roster in Balor. The Balor Club may not reach the heights that the Bullet Club has, but it is an opportunity for Anderson and Gallows, and especially Balor, for have a fresh start in the WWE and really get over with the crowd. Balor also has a chance to delve back into his heel Prince Devitt persona and try it out in front of a WWE audience. Fans may not see him make gun gestures with his fingers, but they could get some of his personality to shine. The WWE does not have to limit the Balor to Club to just Balor, Anderson and Gallows. 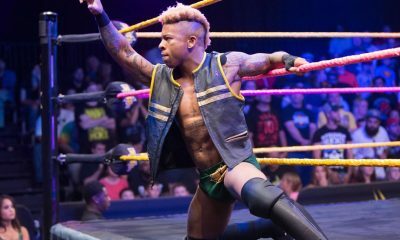 The company could move the stable to Smackdown Live and add A.J. Styles. There is also room for the group to add its first female member, possibly Balor’s Mixed Match Challenge partner Sasha Banks. That does not mean the Balor Club needs more members to be successful. Balor, Gallows and Anderson have good chemistry together and when you get wrestlers in a faction who are good friends in real life, it translates well in and out of the ring. Fans have seen this type of chemistry with the current incarnation of the Bullet Club, The Shield and The New Day. If WWE allows the Balor Club to be themselves in front of the camera and in the ring, fans will see how much fun they are having together and how they cool they are and gravitate toward them. As Balor said during a backstage segment, 2018 is the year of the Balor Club. He may be right.